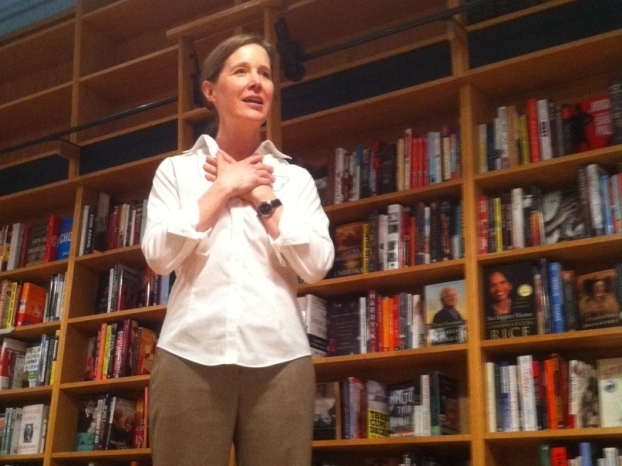 “I have no interest in retail; I have no interest in opening a bookstore,” said Ann Patchett, whose Parnassus bookstore opened Wednesday in Nashville. “I also have no interest in living in a city without a bookstore,” she continued. Nashville, once called “the Athens of the South,” lost it’s last independent bookstore and its Borders, in what one local writer called, “a civic tragedy.” Cultural leaders held meetings in the public library, and hatched such ideas as a co-op bookstore, with individual investments of $1000 to startup. Nothing came of those suggestions. Then Patchett, the best selling author of Bel Canto and Truth and Beauty, began to think of opening a store. In April, she met with Karen Hayes, who had worked with a large book wholesaler and as a sales rep for Random House. The two became partners and co-owners. Patchett, whose most recent book, State of Wonder, reached number 3 on the New York Times bestseller list, put up an initial investment of $300,00. When she went on a 15 city book tour last summer, she was bursting with questions for the owners of all the stores she visited: How many square feet? How many employees? What makes this store work? 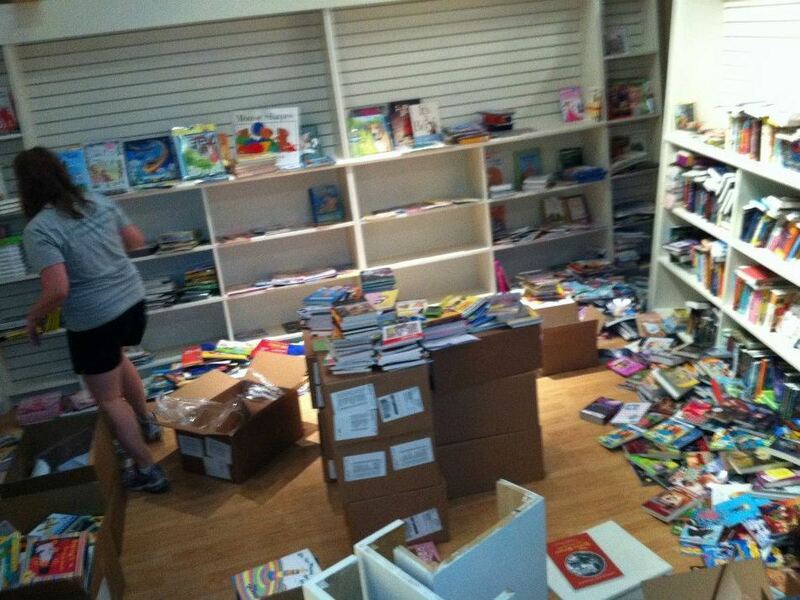 “Put the children’s section in the back of the store,” (so if they bolt, they can be stopped before they hit the street). “If you hang signs from the ceiling, people will buy what’s advertised on them.” “Make your store comforting and inclusive, smart but not snobby.” These were bits of advice she gained from others in the trenches. Like other independent bookstores, Parnassus will use Google to offer ebooks to customers. (“Novelist Fights the Tide by Opening a Bookstore,” by Julie Bosman, The New York Times, Nov. 16, 2011, p. A1). I think maybe all of us can remember the magic of childhood bookstores and wish Ann Patchett, Karen Hayes, and the city of Nashville great success with their latest enterprise. This entry was posted in Authors, Culture, Current Events and tagged authors, Culture, current events, writing. Bookmark the permalink. I read books on my phone and am going to buy a kindle or nook, but I will always hang out at the local book store. I love going into used book stores and can’t imagine living in a community without a place to touch the actual words. Gazing at the covers is a visual delight, I love to feel the paper against my fingers and yes, even sneeze to the build up of paper dust. There is something about actually turning the pages and I can’t imagine my night stand without one or two books with bookmarks that were a found treasure or joyfully created out of a greeting card sent by a loved one. A day isn’t complete until I’ve gently inserted that bookmark and closed the book before I turn out the light. I agree. Owning a kindle and enjoying physical books are not mutually exclusive. I’m working on a new post related to the sensual delight in books that you evoke. I actually have a dream of opening up my own little bookstore one day. A quaint little place with flufy over stuffed chairs, a coffee bar and some betnik muscian who jams quietly in the background. I even have a name for it: Master Yoda’s Holocron. Or just “The Holocron” if Lucas won’t give me permission to use Yoda. At various times, I’ve had a similar dream. When the Borders closing was first announced, I remember discussions of whether or not indie stores would make a comeback. Nobody really knows, but I did pick up the sense that for now, certain niche/specialty bookstores have the greatest chance. I fondly remember a sci-fi / fantasy bookstore, run by a guy who followed the cons and also dealt in first editions, mint copies of Batman #1 etc. I can picture the vibe of the place you describe and it sounds very inviting – the kind of place I would love to hang out. Wow. What a great gift Ms. P has given to Nashville. I, too, have often dreamed of owning a small bookstore, but I know that would not be a good idea for me. I worked at a bookstore for awhile and never took home a paycheck that was near complete, but I sure bought books. This is a great story. I didn’t know about it. Thanks for posting it.